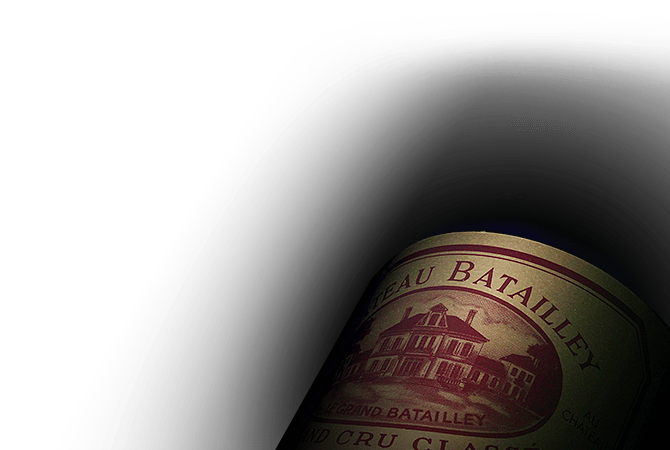 The name of Chateau Batailley is derived from the memories of battles, in French "batailles", that took place on the estate at the end of the Hundred Years War. Today this Fifth Growth covers an area of 60 hectares planted with three varieties : Cabernet Sauvignon, Merlot and Cabernet Franc. This classic Pauillac wine is full-bodied, tannic and an encompassing suppleness with notes of delicate oak after a few years of aging. It expresses a dark ruby color and shows pronounced notes of cassis.